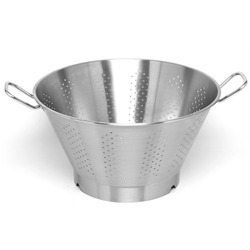 Stainless Steel Conical Colanders with perforations enables draining off liquids and rinsing food. These are also available in different sizes. Looking for Conical Colanders ?